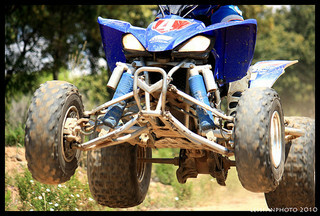 ATV Safety Tips In addition to reporting accident statistics, the CPSC’s ATV Safety Information Center provides several safety tips for ATV riders. The agency recommends wearing safety gear, including a helmet and eye protection, and avoiding paved roads. They suggest children under age 16 not be allowed to drive/ride adult ATVs. The CPSC recommends against allowing passengers on ATVs that are intended for only one rider. Additional safety tips not specifically mentioned include obeying suggested maximum speeds and never riding while drunk or under the influence of drugs. Our Northern California ATV accident attorney represents victims in both personal injury and wrongful death suits. We conduct a close investigation of each accident to determine who bears factual and legal responsibility. In some cases, a company that made/sold/rented a defective vehicle is responsible. In others, responsibility lies with an individual who drove recklessly/negligently. Another scenario involves negligent maintenance of a road or path. Sometimes more than one party is at fault. A victim may have a legal claim even if his/her own negligence was a factor. If you, your child, or another family member has been involved in an ATV accident in Santa Rosa, San Francisco, Oakland, or neighboring communities, please call. We can help you recover money from those at fault, compensation that can help you and your family move forward after tragedy.